British Broadcasting Corporation (BBC) told the A.A that the dish "pork vindaloo" was included among Eid al-Fitr recipes posted on its web-site by mistake. It said that the automatic suggestion system caused the mistake. BBC apologized for the inconvenience it caused. Earlier in the day, Muslim people reacted harshly to BBC's mistake. Hakan Camuz, chairman of the Independent Industrialists' & Businessmen's Association (MUSIAD) in the United Kingdom, told the A.A that BBC had the vision to be aware of importance of the Eid al-Fitr for Muslim people. 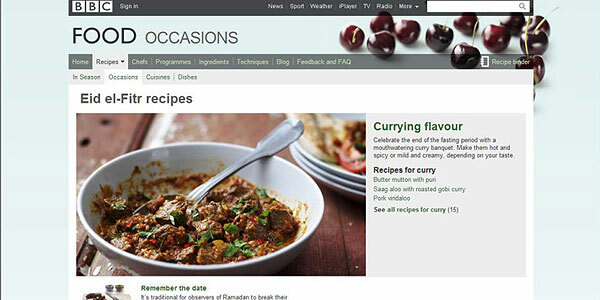 "But it is unacceptable that BBC could ignore the fact that Muslim people do not eat pork. This is disrespectful," he said and called on BBC to apologize from Muslim people.